DUE TO CANCELLATION WE NOW HAVE DATES AVAILABLE EARLY MAY. Contact us to book during this time frame and enjoy an extra day free. Easter is not far away so time to book. We have Riverstar still free for the Easter dates so don't miss out. Receive $200 off the normal Easter tariff. Other dates in April free so please contact us for availability. We look forward to hearing from you and helping you plan your river escape. 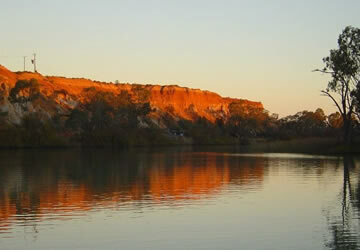 Travel with us on the premier stretch of the River Murray at Renmark in the Riverland of South Australia. Summer or winter you will always find your time on the river to be exciting and will fill your senses. A wonderful experience for the young and the young at heart. Enjoy all the water activities right there on your doorstep. Spending time with best friends or family on the river will create the best of memories for years to come.